DC’s Legends of Tomorrow is coming soon! With DC’s Legends of Tomorrow within a week of airing on TV, the question may be occurring to some: who are you most looking forward to seeing on the show? I have hopes that people who have not been watching Arrow and The Flash will find DC’s Legends of Tomorrow easily accessible… but Ray Palmer and Sara Lance are characters who have spent a fair amount of time on the screen over on Arrow. Brandon Routh (Ray Palmer) is only credited with 19 episodes, but his character has left a definite mark on Starling/Star City, the Oliver and Felicity characters, and the origin story for the Atom can be found within past episodes of Arrow. Caity Lotz (Sara Lance) is credited with 30 episodes of Arrow, and this season has had a fantastic arc for her character, coming from a place where most viewers thought there was no way she would be returning to the story line from. At the moment, I do not believe she exists as the Hero we will be seeing in this show, which means DC’s Legends of Tomorrow *might* contain her origin story. Victor Garber (1 half of the firestorm character) is listed on IMDB as having been in just 8 episodes, but that feels like a low count I wish I could double check. Firestorm’s origin story, like the Atom’s in Arrow, plays out slowly as a subplot in episodes of The Flash. While I do not want to spoil anything about the character, Firestorm has had some interesting events in “his” own life around episode 4 of the second season of The Flash… and again, these are events that feel like they “hold meaning” for his character as he enters DC’s Legends of Tomorrow. Wentworth Miller‘s Captain Cold is a villain, and as such may not seem like a logical choice for this team of heroes, but if you’ve seen his evolution during his appearances on The Flash (again IMDB says just 8 episodes, which in this case *might* be accurate, but they’ve been so dynamic and his character has grown so much as a person during his appearances the count feels low) you are, in truth, not so surprised. The Captain Cold we saw in the 4th episode of Season 1 of The Flash comes across as a very different character than the one Barry saw in the 9th episode of Season 2. Dominic Purcell (Heatwave) who has only been in 4 episodes of The Flash is likewise a villain, and while his origin story is found in the 4th episode of season 1, so little growth occurs with his character during his few appearances that he may, in truth, have the most opportunities to surprise viewers during DC’s Legends of Tomorrow. 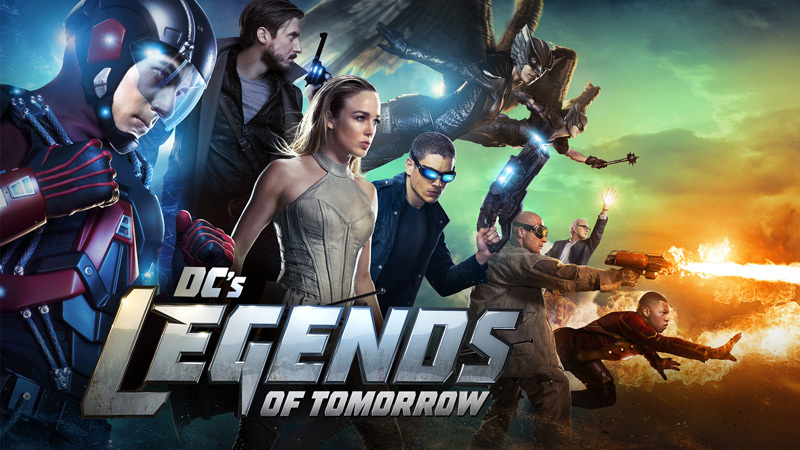 DC’S LEGENDS OF TOMORROW: THEIR TIME IS NOW (Jan 19, 9:00-9:30pm ET/PT) is an in-depth look at the origin stories of the heroes and villains of the highly-anticipated new series, DC’S LEGENDS OF TOMORROW, premiering Thursday, January 21, 2016 (8:00-9:00pm ET/PT). Featuring show clips and interviews from LEGENDS, ARROW, and THE FLASH executive producers Greg Berlanti, Marc Guggenheim, Andrew Kreisberg, Phil Klemmer, and Wendy Mericle, THEIR TIME IS NOW introduces viewers to the immortal madman Vandal Savage, the time master Rip Hunter, and the motley band of heroes and rogues he assembles to try to save the future of humanity: Hawkman, Hawkgirl, White Canary, The Atom, Firestorm, Captain Cold, and Heat Wave. This entry was posted in PopArtsPlace, Television and tagged Arrow, Atom, Brandon Routh, Caity Lotz, Ciara Renee, CW, DC, DC Legends of Tomorrow, Falk Hentschel, Firestorm, Flash, Hawkgirl, Hawkman, Legends of Tomorrow, Sara Lance, The Flash, Victor Garber, White Canary on January 13, 2016 by Kay. 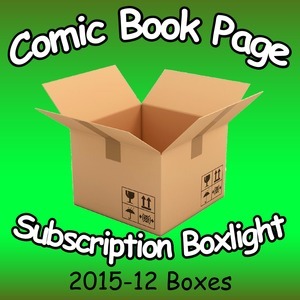 John Mayo, of ComicBookPage, and Kay Kellam, of PopArtsPlace, open up and discuss the contents of a number of recent subscription boxes. December is the time of year when some of us (Kay) struggle to figure out what other people might want in the way of a gift, combine that with the release of Star Wars: The Force Awakens, and suddenly some extra subscription boxes were eye catching, appealing… and ending up on the podcast, as well as quite possibly adding to the fun. This entry was posted in Podcast, Podcasts, PopArtsPlace, Review and tagged 1UpBox, Boxlight, Chewbacca, Geek Fuel, LootCrate, Marvel Collector Corps, Nerdblock, SciFiBlock, Star Wars, Subscription Box, Subscription Boxlight, The Force Awakens, Zavvi, ZBox on January 6, 2016 by Kay.